Most young people are familiar with superheroes, but in real life, it's the ordinary heroes that walk among us that really make a difference. Readers of this engaging volume learn that there's more to being a hero than being able to fly or having other superpowers. Being kind, helping others, or doing what's right even when it's tough are all things that make for pretty good, real-life heroes. 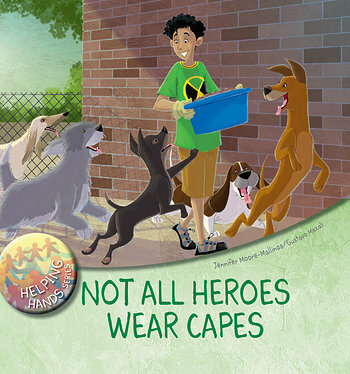 Relatable characters are truly engaging through colorful illustrations, while age-appropriate text encourages readers to make positive, helpful decisions in their own lives.